EDM is the music industry’s cash cow and punching bag. What once went down in warehouse raves now fuels multi-million-dollar festivals. Can they clean up their act and still clean up? At the end of July, more than 180,000 people from over 200 countries gathered in a scenic national park in the small town of Boom, Belgium (near Brussels), and partied for three days straight. (Or really, two-and-a-half: The torrential downpour that hit on Saturday night around 10 p.m. was a crowd-killer for sure.) Walking along the grounds of Tomorrowland, a festival in its ninth year, on Friday morning before gates opened, the place seemed almost surreal even without hordes of party people in wildly divergent stages of sobriety (though like all such festivals, Tomorrowland runs a hard line against drug use). It felt very European fairy-tale, clean but florid. 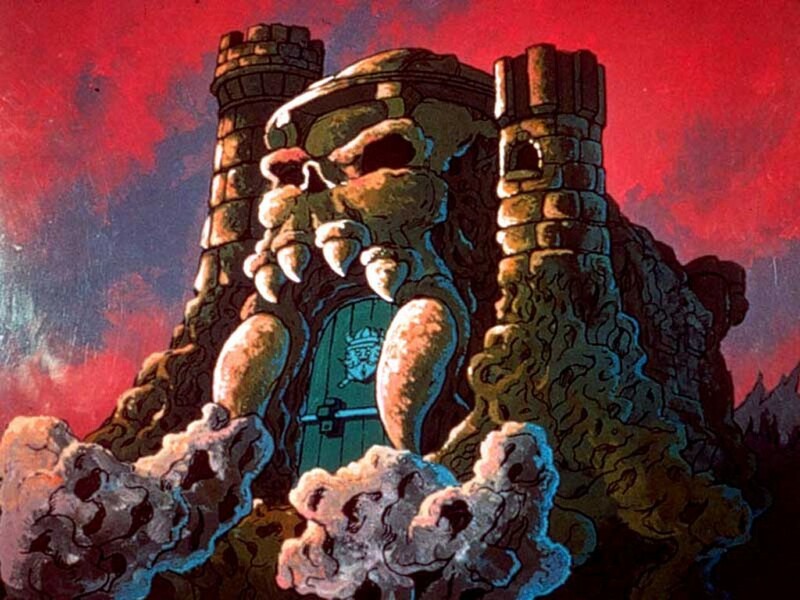 The main stage set-up was something like a scale version of Castle Greyskull from He-Man, complete with waterfall to the right of the DJ and a sit-down restaurant inside its stage-left gateway. Another stage looked like a butterfly; the get-up of yet another, the hardstyle-focused Q-Dance stage, resembled a rabid insect. Tomorrowland’s sheer size is stunning—the park is rented for two additional weeks after the party finishes so ID&T, a dance-events company with additional headquarters in Amsterdam, Sao Paolo, and now Brooklyn, can restore the grounds to their exact prior state. Lines are run entirely underground, in purpose-made trenches. The biggest change from the run of American megafests may be the service. Security guards and vendors were friendly, and so was the crowd, unperturbed even by American at their most boorish—of the young woman who threw a screaming tantrum when she wasn’t allowed into an overcrowded venue. Naturally, Tomorrowland is looking to expand into the States. TomorrowWorld will take place in Chattahoochie Hills, Georgia, just outside of Atlanta—on a private farm, rather than a public park—from September 27 to 29. TomorrowWorld features many of the same headliners as its parent fest: Afrojack, Porter Robinson, Steve Aoki, Chuckie, Dimitri Vegas & Like Mike (also managed by festival honchos ID&T), Nicky Romero (who was playing the overcrowded venue mentioned above), Armin Van Buuren, David Guetta, and Tiësto, among others. Décor from throughout Tomorrowland’s history will come over on some 80 semi-truck-sized containers. “After ten years, we have a lot of different decorations,” says Shawn Kent, who oversees ID&T’s U.S. office. “There’s a huge quantity of materials coming over to Atlanta.” There, they’ll mix with specially designed new installations, assembled on the ground. Partnerships with local vendors are in the works. There will be a greater emphasis on local and regional styles—a trap stage, for example. That’s a lot for one party—but one party is all the Tomorrowland crew has planned for the time being. Though ID&T aims to put its parties on every continent, the company doesn’t have a set timetable; it is focusing exclusively on the U.S. edition of TomorrowWorld before moving forward, its timetable extending about two years. “We’ve got a great number of options that, at this moment in time, we’re not pursuing,” says Kent. AFTER SEPTEMBER 1, ID&T’s caution seems especially wise. At 11:24 that morning, the publicists for Electric Zoo—Made Events’ annual Labor Day weekend bash in New York City’s Randalls Island, near Harlem—sent the press a link to an official statement: Sunday was canceled. The third and final day of its fifth year was called off due to a pair of deaths the night before. A 20-year-old woman, Olivia Rotondo of Providence, R.I., and 23-year-old Jeffrey Russ of Rochester N.Y., had ingested too much Molly. There have been five other deaths since the American dance-festival season began in March. Some of those deaths have been traced to tainted or faked drugs—bath salts were being sold as Molly, a powdered, snorted form of MDMA, which in pill form is generally called Ecstasy. This was bad news anyway, but especially so for a style that is both the music industry’s cash cow and punching bag. There’s long been a backlash inherent in the EDM craze; the music’s funkless exuberance is the most blankly formulaic pop style in ages, and the culture’s gushing-over-thinking worldview is unsustainable at any level. No one rides a long serotonin high without crashing into the dirt eventually. Dance cognoscenti see it as a clown-school version of the more refined peaks and drops they dote on. The rock establishment can’t figure out how this music makes so much money and sells so few recordings, even in a drastically downsized sales age. The press reports, yet again, from Vegas. But Vegas is only the gaudiest example; it’s not the status quo. For one thing, the audiences at many EDM festivals, contra The New Yorker, are quite racially mixed—though the non-whites are predominantly Hispanic, Asian, and South Asian, rather than African-American. For another, even age-restricted festivals like Electric Zoo are built for exertion, not the creature comforts of Vegas. Attending Friday and Saturday evenings of this year, I saw a significant loss of energy from EZoo 2013 and last year’s edition, and at the time I put it down to general exhaustion. There are a lot of festivals out there now—more all the time—and lots of fans hit as many as possible. By the time Labor Day comes around, everyone’s tired. Also, you are aware that MDMA depletes your serotonin and leaves you bone-tired if you use too much of it, right? This is not to scold anybody. Death is no joking matter, especially when it’s unnecessary. No one in the dance biz was laughing, either. Electric Zoo’s third day, canceled by the mayor’s office, in one of the biggest markets for this surging music—music that has had one mainstream watershed after another this year, from Daft Punk to Avicii—sent a message that made long-timers’ blood run cold, long-timers who were around the first time everything got shut down and a thriving business ground to a halt. It’s particularly bad timing for SFX, whose impending IPO needs to be filed, according to Billboard, by October 16. IN THE COMING MONTHS, Live Nation—which merged with Ticketmaster three years ago to create a live-events megalith—is planning seventeen shows throughout the U.S. and Europe. Just as Estopinol partnered with SFX, Pasquale Rotella, the L.A. native—recently relocated to Las Vegas—behind the global Electric Daisy Carnival (EDC) events and the more California-specific Nocturnal Wonderland, recently began working with Live Nation. The conglomerate’s president and CEO, Michael Rapino, also oversaw the 2012 acquisition of Gary Richards’ Los Angeles events crew, HARD; according to Bloomberg Businessweek, its current revenue stands at $1.68 billion. Rotella is a rave-scene veteran. "Listen, I don’t want to be talking about myself,” he says in a classic Cali drawl, “but no one else was really there, so if I don’t credit myself no one else will, and I don’t want to be forgotten." Rotella went to his first parties in 1991, at age 14, during the heady peak of L.A.’s early scene; by the end of 1992, he said, things began to sour: “It became a tweaky kind of scene.” By ’93, it was a wrap. “There was nothing going on.” Rotella’s parties in 1994–95—many at broken-into warehouses—led to a pair of arrests and a subsequent decision to go legit, right around his 18th birthday. Rotella’s initial “baby” was Nocturnal Wonderland, which began in 1994 and by 2000 had taken over the Empire Polo Grounds, the future home of Coachella, where it drew 40,000. Electric Daisy Carnival (EDC) started in 1997 and was drawing 30,000 by the early 2000s in Tulare’s International Agri-Center. When Nocturnal skipped a year in 2002, EDC’s attendance gained parity before outstripping it once Rotella moved the festival to the Los Angeles Coliseum in 2008. “The commercial crossover that brought EDM to what it is was when Will.I.Am started working with David Guetta,” says Afrojack. Their 2009 collaboration on the Black Eyed Peas’ “I Gotta Feeling” became the biggest-selling song in iTunes history (racking up 5.5 million downloads by 2010). “It was the first dance-crossover song where people were like, ‘What is this music?’” says Afrojack, who was inspired by it. “I thought, ‘I want to make a commercial radio dance song, just to try it.’ Pitbull called me and said, ‘Let’s work together.’” The result, “Give Me Everything,” went to No. 1 in 2011. That year, the dance underground seized the U.S. pop mainstream entirely on its own terms. That year, Rotella’s long-running Electric Daisy Carnival left southern California for the first time, following the death of a partygoer in 2010. The festival’s 2011 Vegas kickoff was wildly successful, drawing 230,000 people over three days and outdrawing Coachella by a slim margin. Porter Robinson, then an 18-year-old with a couple of Beatport bestsellers, played EDC ’11. “I remember getting a bunch of tweets like I’d never gotten before,” he says. Interviewed weeks before Electric Zoo, Estopinol’s outlook was rosier. “At some point will there be some type of backlash, yes—but it will not go away. It will be a part of our lives and a part of our children’s lives. The gross revenue for the last five to six years is growing 30 to 40 percent per year—sometimes more.